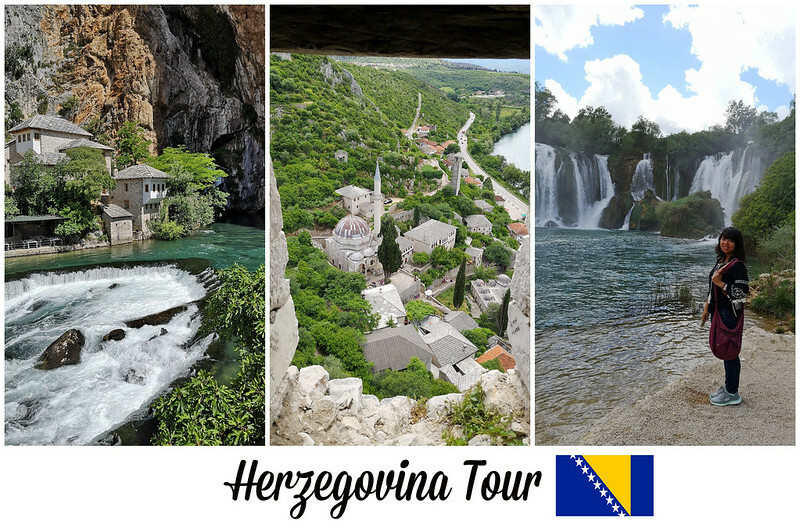 On the second day in Mostar, I decided to sign up for a full day Herzegovina tour from the local. At least this is one ideal way to support the local economic development. I booked the Miran Tour, which is highly recommended not just by Wikitravel but as well on the Lonely Planet book too. 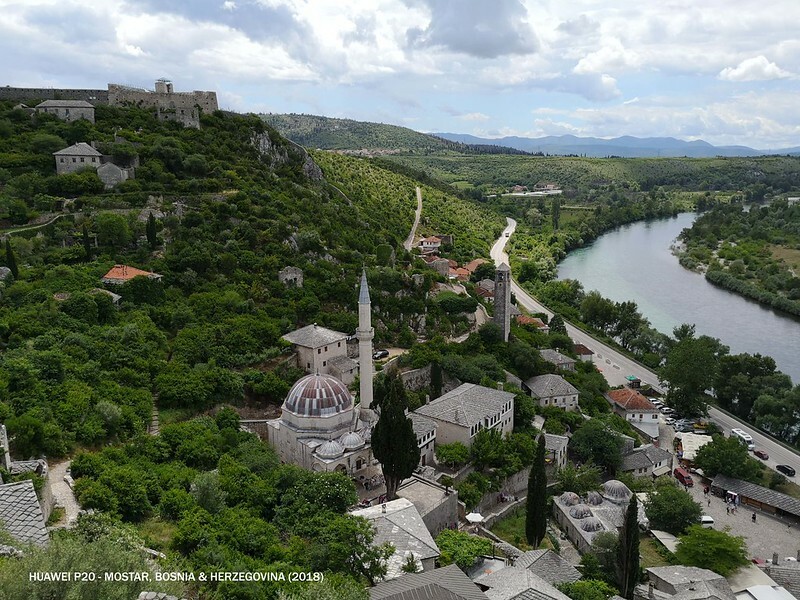 This is the most popular tour that offer great-value classic sights driving to a selection of key rural sites around Mostar. Earlier, I sent an email to Hostel Miran (this hostel just few steps away from where I stayed) to enquiry about this tour but they said it's best to come and check at least a day earlier to see whether is there any sufficient number of people sign up for this tour. I almost gave up cause they were still unsure until almost 5pm, they confirmed that they had gather enough number of people for this tour. Or else, I might ended taking the tour which I spotted in Mostar Old Town. The tour started at 10am. I walked to Hostel Miran once I done with my hearty and lovely homecooked breakfast at the hostel I was staying. The tour is conducted by Miran himself and there were three of us joining his tour on that particular day - a guy from United Kingdom, a lady from Hong Kong and yours truly. Miran drove us to the first place where not many tourists will stopby. It's an abandoned airplane hanger which once been a top secret launch facility hidden next to the Mostar airport. This old, abandoned cavern is not an official tourist attraction but can be still be visited by anyone looking for a bit of off-the-beaten path urban exploring. Unfortunately I didn't manage to catch any photos of this place but you can check out more here. 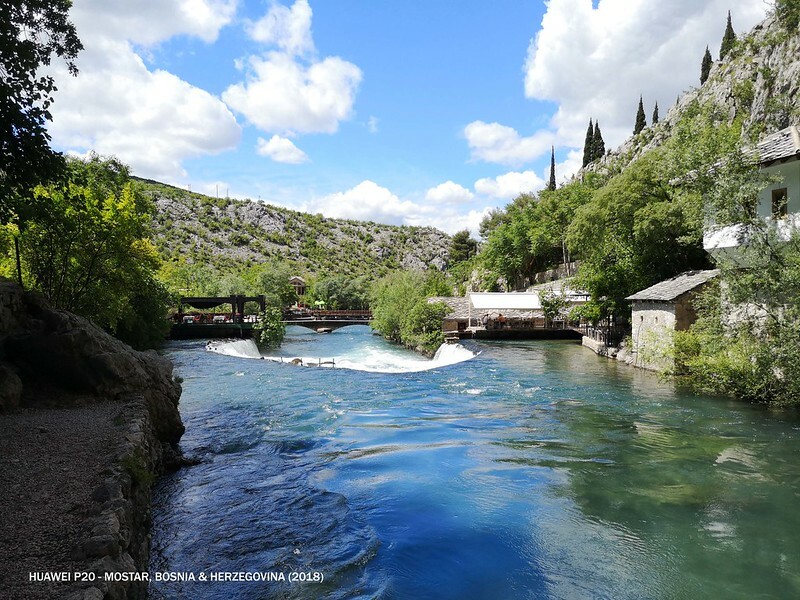 Next, Miran brought us to Blagaj, a picturesque village town in the south-eastern region of the Mostar basin. 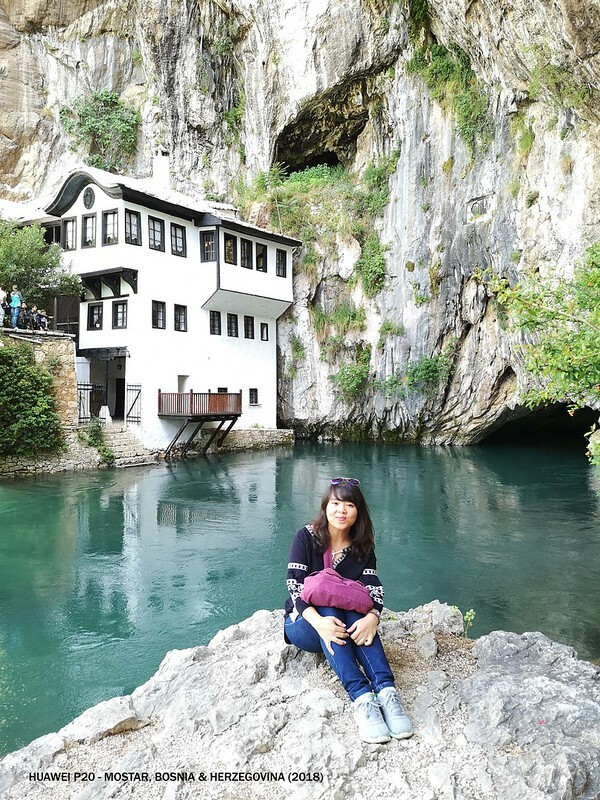 But of course the main highlight of this place is the Dervish monastery, Blagaj Tekija situated at the mesmerising spring of Buna River. 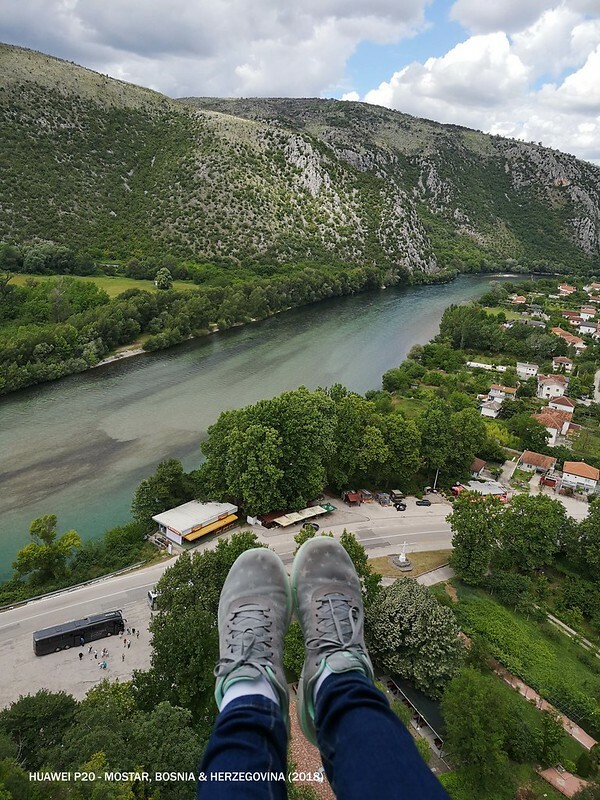 According to Miran, Buna River claimed to be one the most cleanest river in Europe. This famous tourist attraction is absolutely stunning and one unforgettable sight for me. How I really wish that we could stay longer here but we have another places to catch up next. 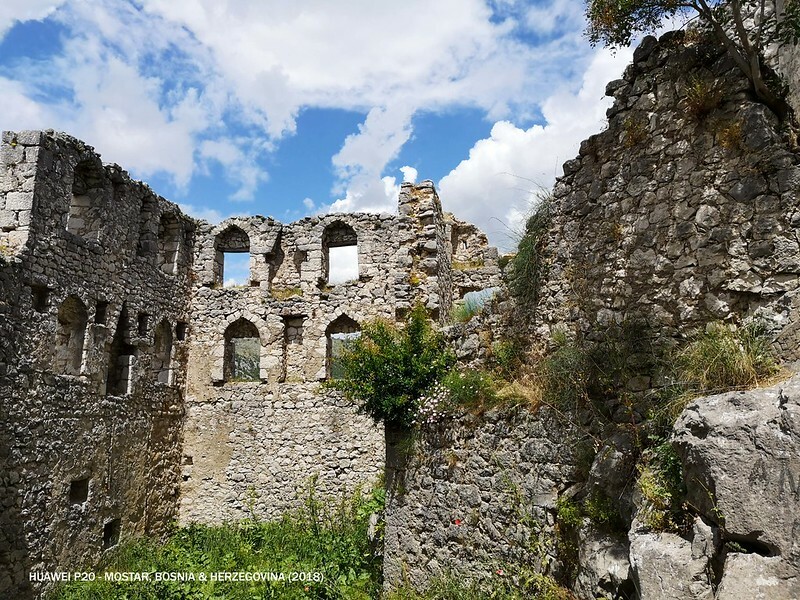 After an hour journey, we arrived at Pocitelj - the photogenic part-ruined Turkish-era citadel. 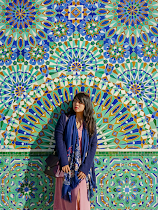 Its special Ottoman architecture and Mediterranean style blend of which give this town a special dimension, makes this town a real gem of architecture. 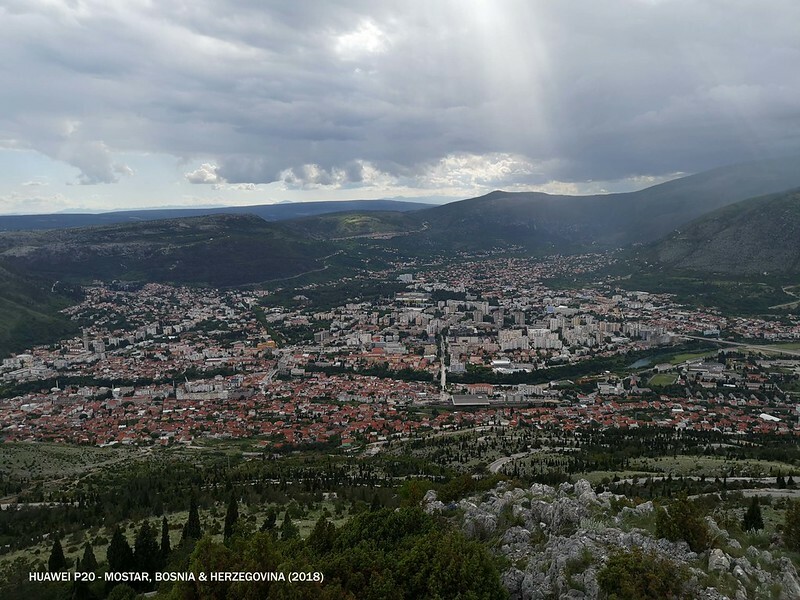 Miran even asked us to climb up to Kuna, the highest point of this UNESCO fortress which offers panoramic view of the city and emerald green Neretva River. It's fairly easy walk but I would suggest to wear proper and comfortable shoe in case you are planning to climb up. After Pocitelj, we made our way to the breathtaking waterfalls Kravice. 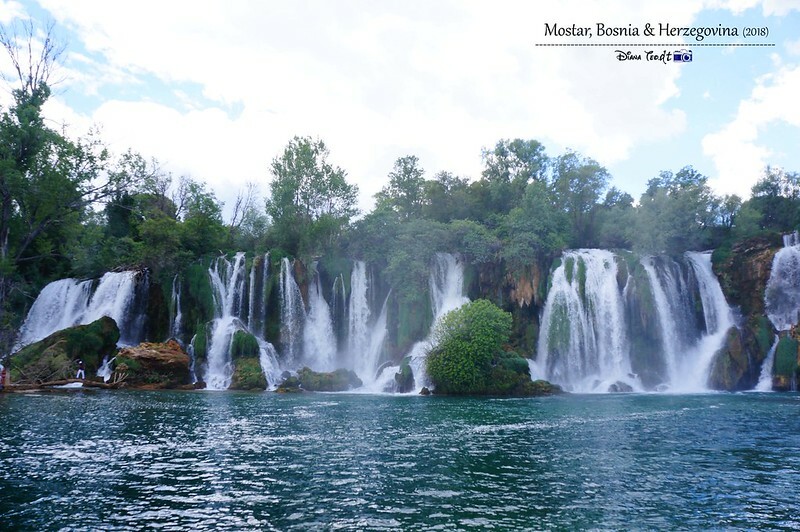 Kravice is one of the largest waterfalls in Herzegovina and certainly the most impressive one. We are allowed to swim here but too bad we unable to do so because first, we didn't bring any swimwear with us. Secondly, it was too cold to swim and the best time to visit this fall is during the summer time. 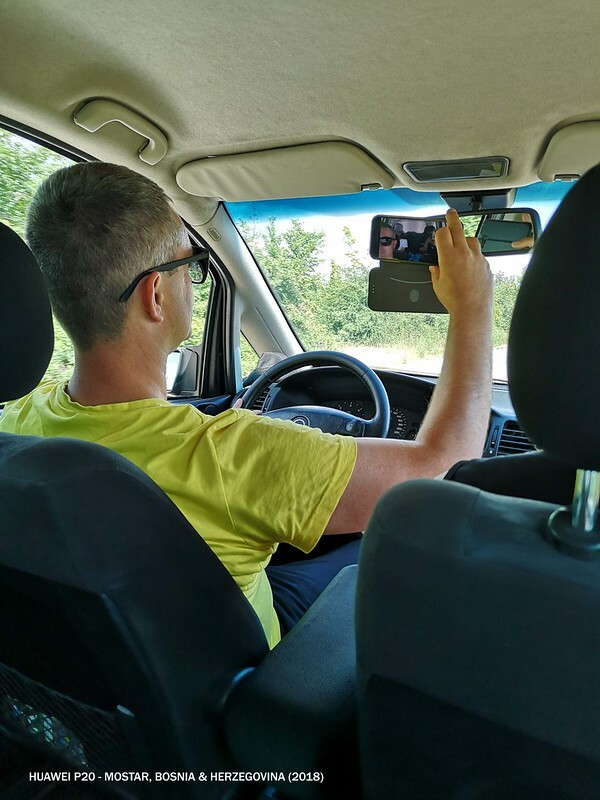 On our way back to Mostar city centre, Miran told us to search on the net for "Crazy Bosnian guy". And you know what, he was the one appeared from the search. Trust me, he is really one crazy tour guide I ever met. I mean it, like seriously! Before we ended our tour, Miran drove up to Hum Hill. 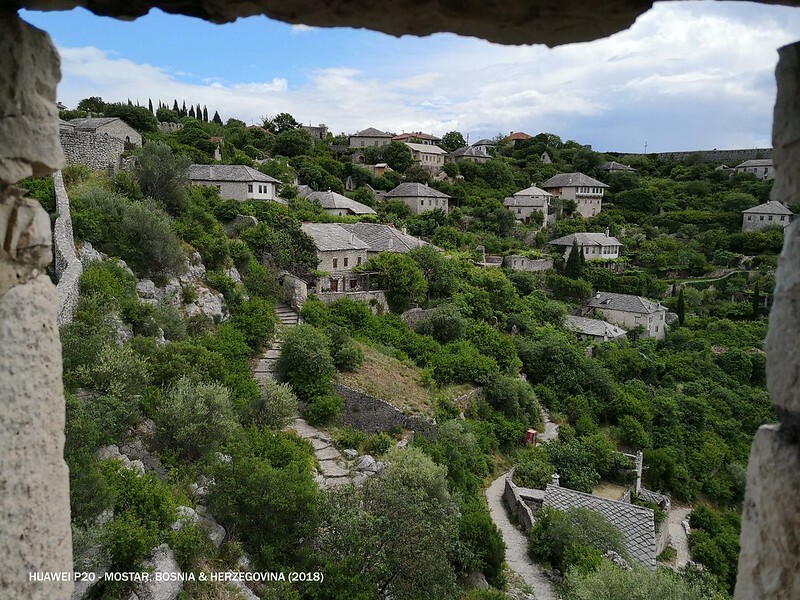 Besides given us the opportunity to have a great sight of the whole city of Mostar, Miran shared his past experienced of being a soldier in the Bosnian army during the civil Bosnian war that took place between 1992 and 1995. It's one fascinating and interesting sharing but at the same time, it's really heart-wrecking to know what had the Bosnian been through during the devastating war. 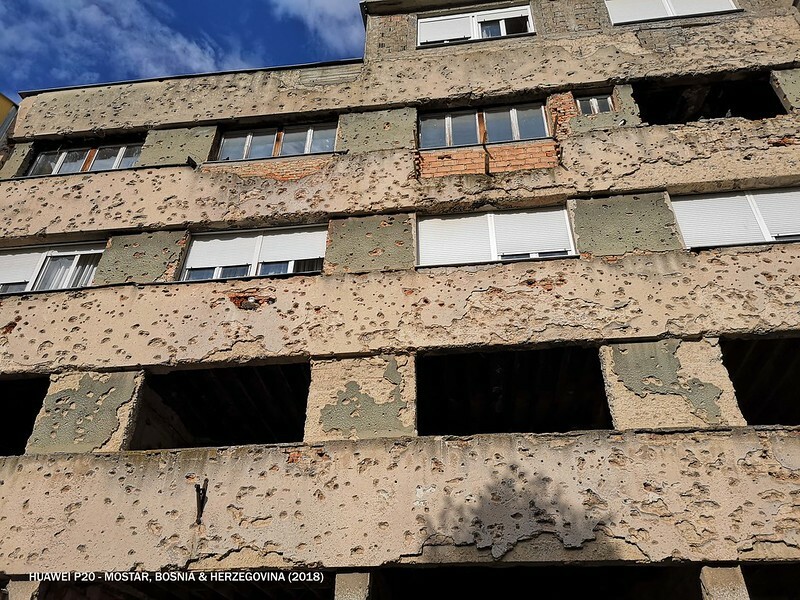 Last but not least, Miran brought us to an abandoned building filled with bullet holes. Imagine one of the buildings that he showed us used to be a school, where the young children were studying and out of sudden, shooting scene took place. Miran expressed that he wish that the local government could actually rebuild and restore the building but at the same time, he felt that it's best not to do. Although I barely remember everything that Miran told and shared with us (how do you expect me to digest everything in just one day), but this is indeed one interesting tour I ever signed up especially meeting such a passionate and knowledgeable tour guide like Miran. This tour cost 60KM or €30 per person. 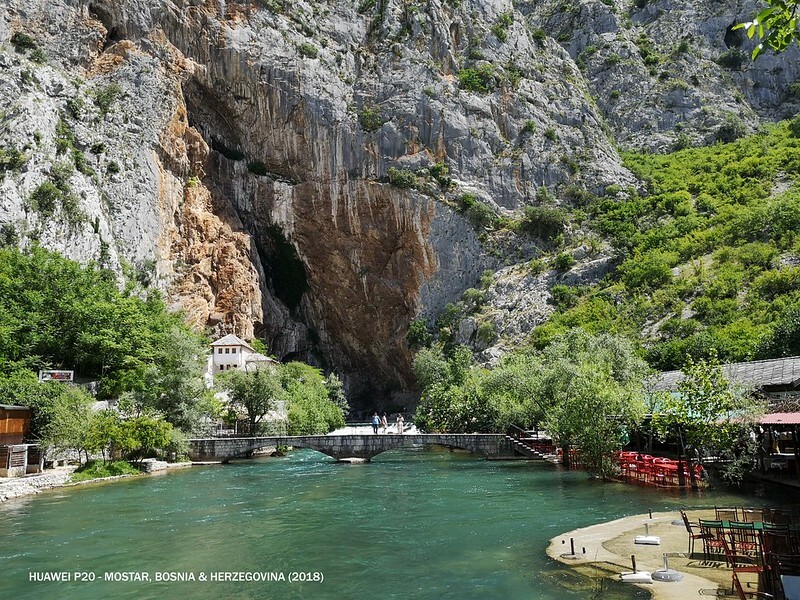 However, this cost only covers cost of transport and guide but doesn't include any entrance fee to Blagaj Tekija (4KM), Kravice Falls (5KM) and also lunch. 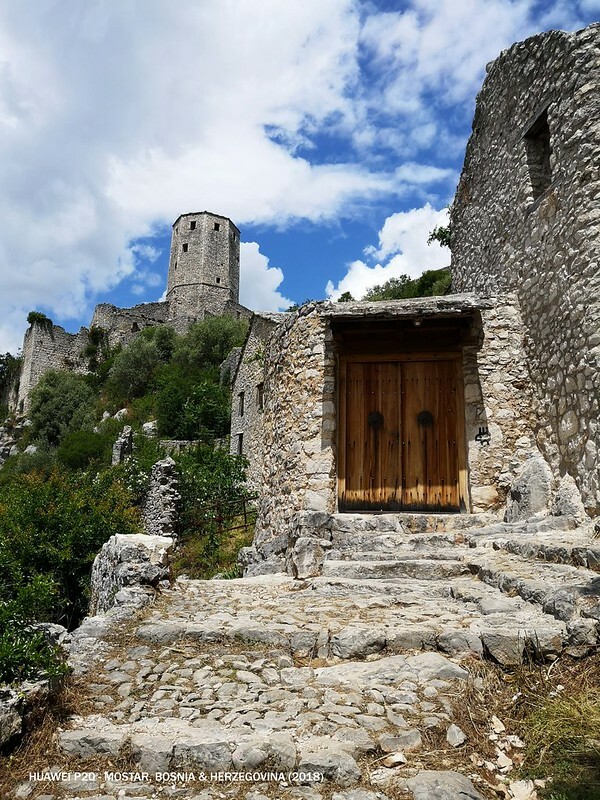 Blagaj Tekija is such a beautiful village. So picturesque. Amazing view. The tour and sharing by Miran were something worth keeping and remembered. How do u even pronounce that? Punya cantik tu ruins and falls, can mandi ka that? Looks deep oh. Ah this is nostalgic. I stayed in Hostel Miran and naturally went with the tour organised by the hostel! Such a wonderful post and article!! Thank you so much for sharing this post.. We provide a bhutan tour packages in mumbai at very cheapest price. 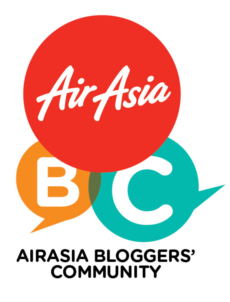 If you want to book tour then this is the best option for you. 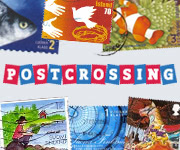 Definitions abound for the magical word 'tour.' When looking forward to your luxury travel vacation, do remember that the word 'tour' implies several different things. For one, a tour can be a guided trip that consists of a group of people Tour Travel Hotels with similar aims. A package is usually termed as an offer that includes journey by planes, airport transfers, hotels, accommodation and vehicle or car rentals.